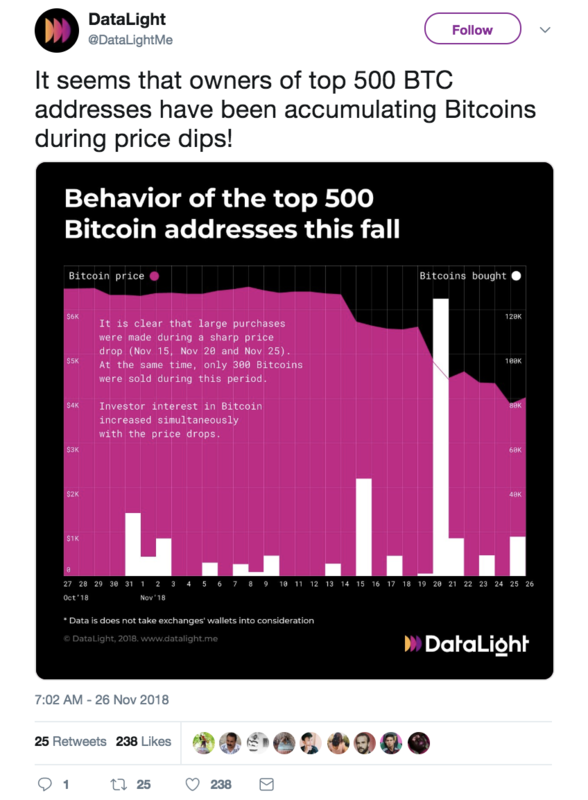 After last weeks market wide tumble, you might be wondering whether it is finally time to close out your positions?… Buy the dip?… Sit on your hands? Well, it all depends on your fundamental views on these various investments. Here’s Fred Wilson (arguably the most insightful voice in all of tech investing) to help with these decisions. Don’t miss what he’s got to say on Ethereum (ETH). For more quality, long-term crypto investment reassurance, Fred wrote an essay this week lending some perspective from the position of investing in internet stocks between 1999-2002. If you’ve had any kind of investment in crypto – whether financial or time and energy related — take a few minutes and give these short articles a read. 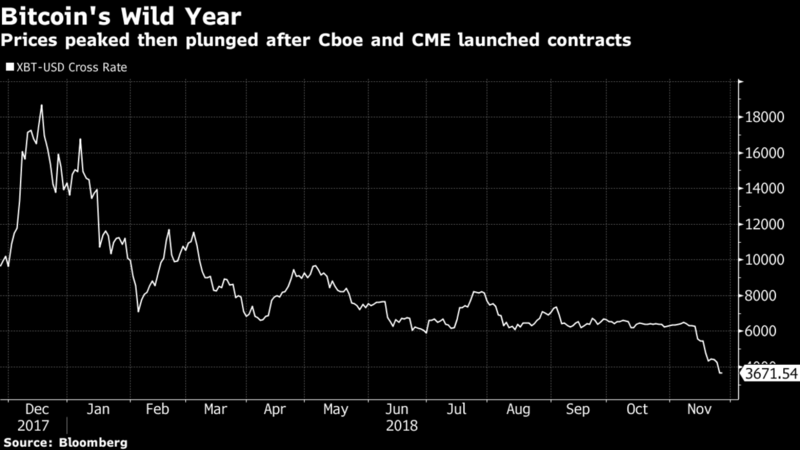 Nasdaq Inc. is moving ahead with a plan to list Bitcoin futures, betting on sustained interest despite the cryptocurrency’s dramatic plunge over the past year. The world’s largest exchange company plans for launch by Q1 of 2019 even as the current crypto futures market remains tiny. Is this good news overall? Yes. But is this a big deal? Not at the moment. The National Institute for Cannabis Investors launched with former Speaker of the House, John Boehner and some of the biggest CEOs, investors, and pioneers of America’s $10.8 billion cannabis industry. This rebroadcast won’t be available for long. Click here to watch a limited time rebroadcast of this historic event. Though the tokenization of real estate offers a compelling vision, there are complexities beneath the surface. Here’s a great listen worth passing along. 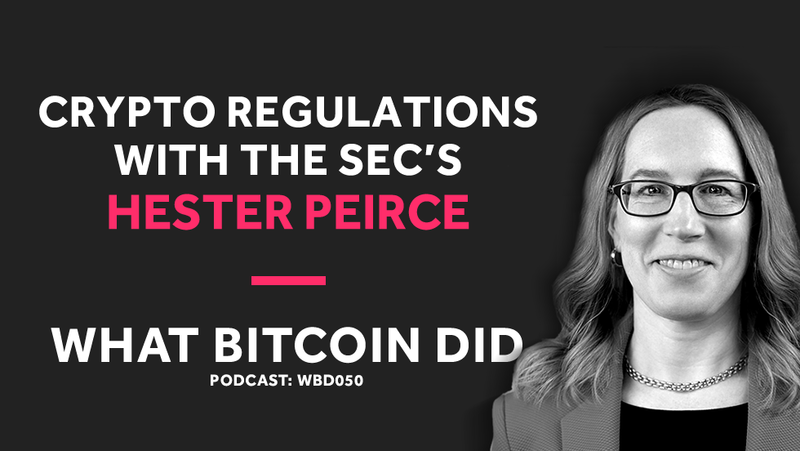 What Bitcoin Did sat down with our favorite SEC Commissioner, Hester Peirce to discuss the role of the SEC, how decisions are made, and why Hester dissented. But the man largely behind green-lighting one — Securities and Exchange Commission Chairman Jay Clayton — has a few worries that need to be assuaged before he’s “comfortable” approving the investment vehicle.